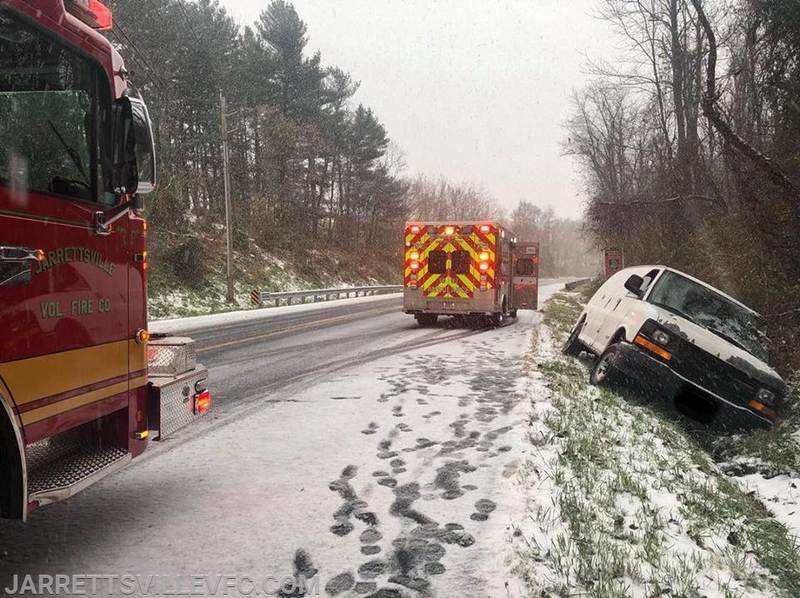 The Jarrettsville Volunteer Fire Company stayed busy Thursday during the day with numerous calls for service related to the weather. 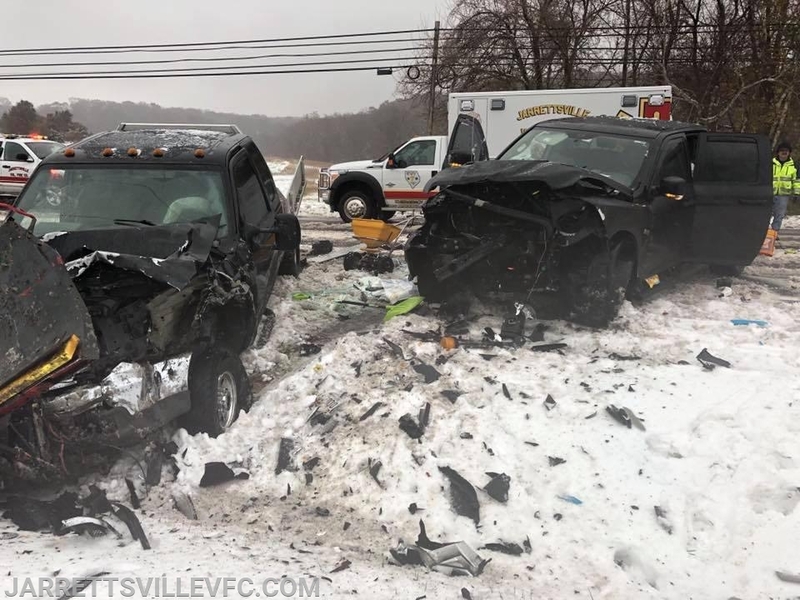 Crews responded to multiple motor vehicle accidents throughout the snowy day. JVFC also responded for an animal rescue, where a horse was trapped in a muddy creek. 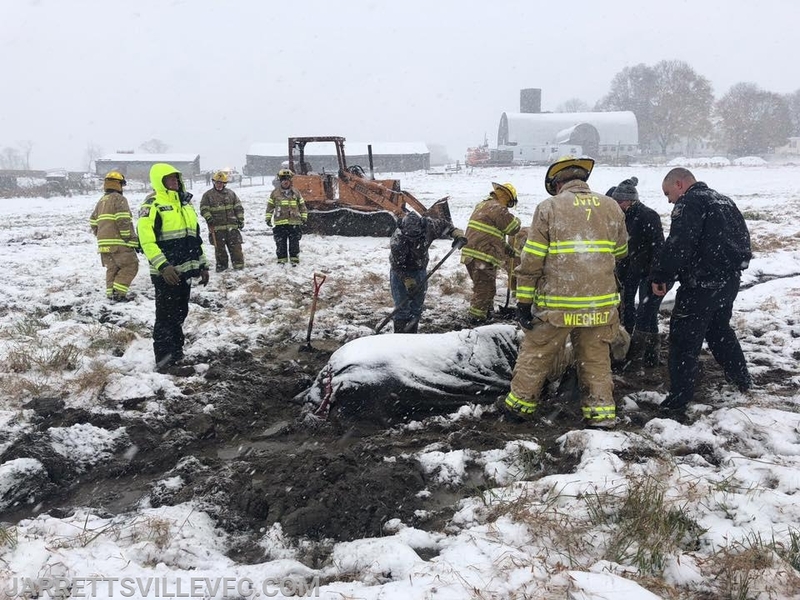 Crews from JVFC and Harford County Emergency Services assisted with removal of the horse using specialized rescue equipment designed for large animals. The station remained attended while crews were out on these calls for service.